Independence of Ukraine in 1991 required changes in management, structural reorganization, improvement of the educational programs, and establishment of new departments. The primary task in 1990-es was to provide the necessary level of education which could meet the state characteristics and standards. Till 1999 the graduates received a “specialist” degree on the basis of full secondary education. From the 1 of September 1999 the university (a status was granted) prepared masters on the study-for-fee form, from the 1of September 2000 — on the state-budget form of education on the basis of “specialist” degree. The new studying plans and programs were developed. At the beginning of the 1990-es the institute comprised 5 faculties, a preparatory department and 22 departments where 289 lecturers worked. Among them were 10 doctors, professors, 114 candidates of science, assistant professors, three merited teachers of the higher education and culture of Ukraine. It comprised 42.9% of all staff. 307 lecturers worked at the university in 2001, 176 of them had scientific degrees; it comprised 57.3% of the staff. Among them a member of the National Academy of Science of Ukraine, two corresponding members of the National Academy of Science of Ukraine, corresponding member of the Agricultural Academy of Ukraine, 28 doctors, professors, 148 candidates of science, assistant professors, 8 merited employees of Ukraine (education, higher school, culture and physical training), more than 40 excellent lecturers of education of Ukraine, young scholars — grant holders of the Cabinet of Ministers of Ukraine and fund “Vidrodzhenia” (“Revival”). The number of the staff with degrees grew on 14%. The number of the departments increased from 22 to 31 in 1991–2001 years, and the number of the major subjects from 13 to 21. There were introduced new major subjects: Ukrainian language and literature and Country Study of Ukraine, Ukrainian language and literature and Social Pedagogy, Ukrainian language and literature and History, History and Ukrainian language and literature, Primary school classes and Practical Psychology, Mathematics and Informatics, German and English language and literature, Ukrainian language and literature and Educational Materials Editing, Chemistry and Biology etc. The new conditions required methodological changes. The implementation of the new technologies and active teaching methods was of the great importance in the1990-es. The block-modular and grade-rating systems were introduced, didactical and role games were put in practice. Technologies of studying process research, cooperation and construction were used at the practical Pedagogy classes. The work done by the Pedagogy department was a base for a pedagogical manual-book published by the Institute of the systematic research of the Ministry of Education of Ukraine in 1995. Computerization of the educational process is catching on. Physics and Mathematics department introduced a course of computer usage in the studying process. The course ran on packages and programs developed at the Mathematics and Informatics and Physics departments. Such programs have been widely used by the Department of Psychology to organize psychological tests. Students of the master degree and PhD students have had courses of computer research work. Computers are used for tests and complex tests. At the 1990 there were 104 computers, in 2001 — 230, in particular there are 13 computer classes with 203 working places. The technical characteristics are advanced. The university staff and students have access to the Internet and e-mail serves. Soon the corporative computer network will be finished. The department of database exploitation, computer network and office equipment launched its work. The English teacher center of self-education promoted implementation of the modern technologies in the process of English learning in the institute and educational establishments of the region. It was created in 1995. The center includes 5 laboratories: modern technologies in the English learning, the German language learning, the English language learning, a common classroom for the foreign language studying, an English classroom. Students and 120 teachers from the region work usually at the center which has become a methodological laboratory. It is equipped with modern authentic books, literature, audio and video-materials. Seminars in foreign language studying modern technologies, conferences take place there. The center collaborates with the British Council, the American Center, the International Center, the Peace Corps, the fund “Vidrodzhenja” (“Revival”), foreign publishing houses. It is a member of the international organization TESOL. The center participated in the organization of the All-Ukrainian competition in the foreign languages for the secondary school pupils (1996) and the All-Ukrainian competition for the best foreign language teacher of the year (1997). The modern technologies in the studying process have promoted the growth of the students’ individual work, fostered their researches; the result is fruitful. The students won 40 prize places at the All-Ukrainian subject competitions in Mathematics, Informatics, Biology, Chemistry, Psychology, Practical Psychology, English, Pedagogy, Ukrainian language and literature, German language, Social Pedagogy in 1997–2001. They took the first places at the All-Ukrainian competition of the student research in Pedagogy and Psychology in 1998–2001; only in 2001 there were 12 prize places at the All-Ukrainian subject competitions. At the All-Union student competition Olexandr Sarana shared the first prize with a student from Moscow Lomonosov University, and Dmitro Stepanchikov shared the first prize with a student from Novosibirsk University. The students, PhD students and lecturers take part in different competitions for training and studying abroad. In the last years they had trainings in the UK, the USA, Germany, Austria, France and Poland. 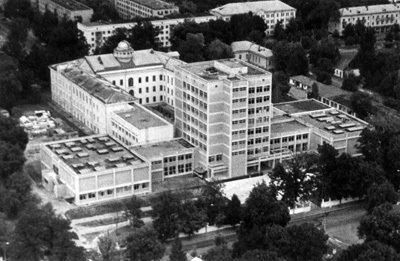 The university conducts researches in theory and methodology of the pupils’ studying and education, improvement of teacher training, methodology in the higher school, historical country study, national consciousness in the Ukrainian literature, Polesia dialects’ vocabulary, biological basis of the Ukrainian fauna protection and its reproduction, the problems of the modern English vocabulary research, production of the semiconductor substances, liquid crystals, research of their physical characteristics etc. The postgraduate students can continue their studying at the university or other Ukrainian universities and get their PhD degree. The first postgraduate students began their study at the university in 1992. Today there are 11 major subjects and 35 students are enrolled. The postgraduate students have defended 23 theses in Ukrainian language, Theory of literature, Biology, Pedagogy, Germanic languages; 13 works are prepared for defense procedure. The lecturers defended 5 PhD theses and 68 assistant professor works in the last 10 years. 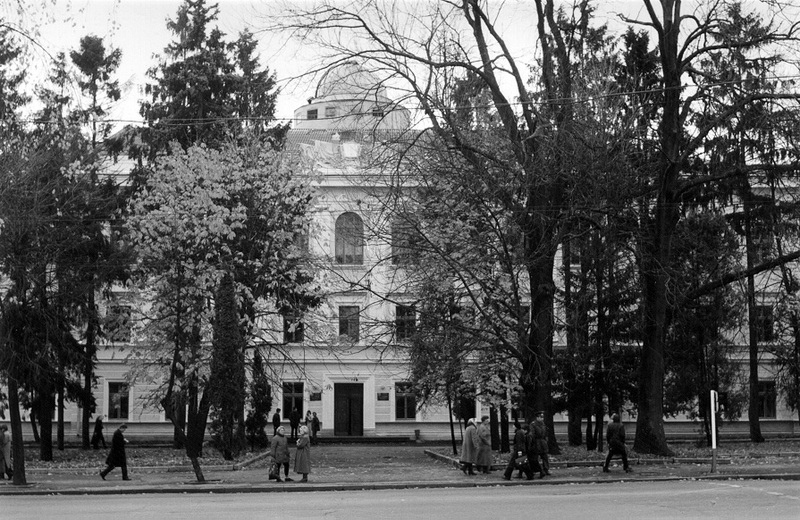 A journal “Visnik of Zhytomyr pedagogical university” has been published in 1998; it is a successor of “Scientific notes”, edited in 1920-es by the pedagogical institute. More than 5.5 thousand scientific and methodological articles were published. In 1990 there were attempts to provide the secondary and higher schools with modern educational and methodological literature. 126 books and textbooks were published in the last 5 years. The education plans were altered due to the changes in the social life of the country; the system of special courses, seminars and optional courses was introduced; it promotes better preparation to practical work. For each subject there were designed tests to check knowledge level and its quality. There are complex tests for course graduates. The education programs were developed for the subjects without common education programs. The improvement of the studying process gave fruitful results. The average progress in studying is 95–96%, quality — 56–60. The results are usually proved by the outcomes of the complex tests in different subjects and at complex qualification exams. 9.9 thousand students graduated of the university in 1990–2001; 6 thousand — on the daily basis and 3.9 — part-time study. 86–90% of the graduates are sent to work. The educational and material base of the university has grown in the recent years. A building for Philology department and a building for primary classes teachers were put into operation in the 1990; in the following years the area per one student was enlarged from 4,5 square meters in 1992 to 9,6 — in 2001. For the students’ need there are 5 dormitories (2000 places), a refectory and canteens (390 places), library with 420 000 volumes, agriculture biostation. 89 laboratories and classrooms operate at the university, in particular 6 linguaphone classrooms, phonolaboratory and 13 computer classrooms (203 individual workplace). In 2000 building of the sport complex was started on the out of budget finances, it was finished in 2003. According to the regulation № 761 of the Cabinet of The Ministers of Ukraine Zhytomyr institute was granted the status of a pedagogical university. The State inspection board of the educational institutions of the Ministry of Education and Science of Ukraine conducted an attestation expert examination of the university. According to the results of the expert examination the university went through the attestation, and in particular in the major subjects of the daily and part-time study on IV level — “Primary Study”, “Ukrainian language and literature”, “Russian language and literature”. “English language and literature”, “Chemistry” and on III level — “Musical pedagogy and education”, “Ethnology”, “Psychology”, “Informatics”. The preparatory department got through attestation also. Enthusiasm, ability to work and creative power of the university staff is the ground for new achievements in the third millennium. 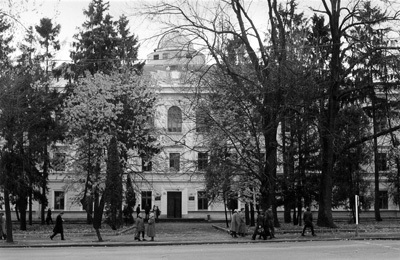 On the 24 of March, 2004 Zhytomyr pedagogical university was granted the status of Zhytomyr Ivan Franko State University according to the regulation № 172-р of the Cabinet of the Ministers of Ukraine.